"I've never had such a positive experience, not just the results, but the process as well. The team at HaulHound knew they had a revolutionary business idea, but they needed a partner to help them turn that idea into something they could show investors. Working with our team at Bitovi, HaulHound focused its goals, iterated on the product design, and laid the technical foundation for their business. Three months later, they had a working application in the app store. Not only could their investors see it, truckers and shippers were signing up to use it. When you stop and think about it, most of what you see in your home, office, or the cafe you're sitting in was delivered by truck. As of 2014, trucking was the most common job in over 25 US states. Today, the industry has three levels: Carriers, Brokers, and Shippers. Carriers are the truckers. Shippers need to send something. Brokers help shippers find carriers - but for a fee. The carrier, shipper, broker arrangement has worked for many years. Yet, it hasn't been without its challenges. Carriers often "deadhead" - that is, drive back with an empty truck. When truckers deadhead, they're not making any money. The founding team at HaulHound knew they could solve for this by empowering truckers to manage their loads without a broker. Connecting carriers and shippers would enable truckers to keep their holds full and make more money. The challenge was how to do this in a way that simplified the process for everyone. That's where we came to help. 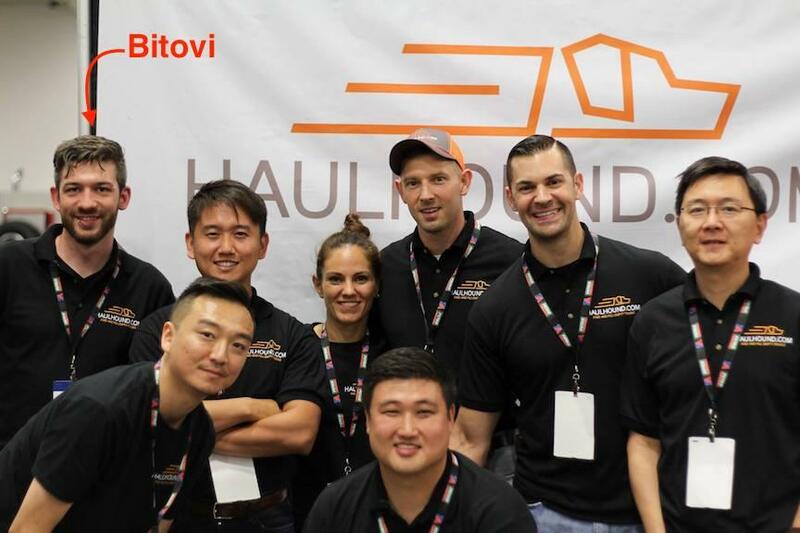 "I knew Bitovi did good work," recalled HaulHound founder, Andy Kim. "I just had this vision of great idea." And it was that initial vision that forged our path to make HaulHound a success. Working with our team of designers and developers, Andy was able to turn that idea into a solid product in record time. 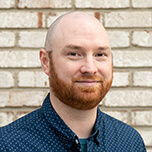 Skyler Taylor, one of our designers on the project said, "My role was not just creating the prototypes, but helping Andy unpack his vision for the product. Early on, I realized there wasn't a plan for signing up users. There wouldn't be anything anyone could actually do with the app in the first version, so I told him, ‘You'll have truckers post once, and then never post again.' So, we pivoted and completely changed our approach." Working closely with the core HaulHound team, utilizing our web app project checklists, Skyler looked at how they could explain the technology to the users. "We spent a lot of time planning and helped them figure out what their value proposition was to both sides of their customer base — the trucker and the people who need truckers. We took their business idea from a concept and worked it into a real business plan." "People are shocked to know that this is our minimal first version. It's one thing to build a functioning prototype in three months. It's another to launch a solid, production-ready app that you're proud to show investors and potential customers. It's even more thrilling when you start to see people sign up to use it. 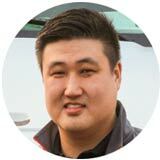 Kevin Phillips, our front-end developer recalled: "We had three months to create this MVP, to demo it at the truck trade show. We got it all done, and done well... everything you need to get a professional app into production." Our designers hit the ground running. After a short sprint of taking Andy's vision and expressing it with some rich mockups and animations, we turned very quickly toward establishing the user flows that would become the basis for the final application. Each sprint was a deliberate practice of iterating on one particular use case of the app. From hand-drawn sketches to fully interactive prototypes, we kept experimenting, making changes, and moving on to the next thing until we had created something that accomplished the business goals and made work easier for truckers and shippers. Leveraging Bitovi's core technology stack with DoneJS, Feathers, and StealJS alongside MongoDB and NodeJS helped the team to deliver the application in record time. "Within the time we spent, 3 months, we had a nice, polished application ready to go in the app store and google play store. We were far beyond what the MVP needed to be." noted Ryan Wilson, one of Bitovi's designers. Like most application development projects, there were challenges and changes in requirements. "One of the requirements was to use the here maps API. We had never heard of it, let alone worked with it. But we got the location autocomplete picker working, got truck routes working, and here maps integration. Everything." noted Kevin. Our role on the HaulHound team didn't stop at the app store. Bitovi's John Gardner joined HaulHound at the crucial trade show where the app was announced for the first time. We were with them as they met investors and potential clients, talking to customers, and helping every step of the way. "My whole thing was that I didn't want to be a logistics company with a tech layer on it. I wanted to be a tech company in the logistics space. People are confident that we are the premier tech company in the industry at first glance," Andy says. Early on, HaulHound had specific ideas about what technology to use. It's common for teams to want to use a certain piece of popular technology, but everyone's needs are different. "We advised him to use DoneJS," said Kevin, "Based on the speed at which we were able to deliver everything... we were able to convince them to trust our instincts... We had a production environment and a fully scaffolded app done two days after starting the project. That alone proved that our stack provided a lot of benefits." Our team's depth of knowledge in the technology was one of the key factors in the success of this project. Kevin remembers, "We worked with our technology and adapted it as the work moved forward." When the team encountered technical issues, because Bitovi maintained the technology, they were able to respond quickly. They had the full support of the core OS team behind them. "We proved our agility with addressing issues in the framework, and our agility as a company." says Kevin. "The trust that we had made all the difference. For Andy, working with Bitovi was much more than just choosing a technology partner. "We connected on a deeper level than just vendor and contractor," says Andy, "We've grown to like each other, and that's not always the case. This is a personal thing. We had two people on the Bitovi team have new additions to their families while they were working on our project. I'm a father and it was nice to see people become parents and connect with them on a deeper level."